Here at Openmind Technologies Solutions, our outstanding reputation as a top-rated silver-certified Salesforce consulting partner has spread well-beyond our headquarters in Atlanta, GA. The secret to our success? For starters, our extensive experience with the Marketing Cloud, our deep knowledge of Salesforce solutions, and our unique hands-on approach when partnering with small, medium and large businesses across the nation to solve their technology challenges. Discuss personalized strategies and tactics for achieving your goals with our experienced Salesforce Marketing Cloud consultants. 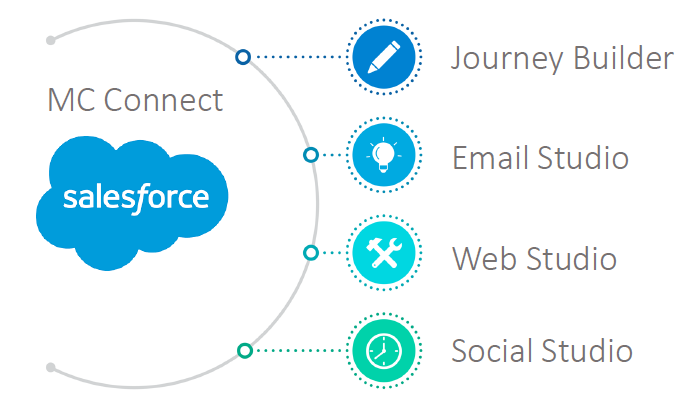 What Does the Salesforce Marketing Cloud™ Do? Terms like automation and customization aren't often paired together, but those words perfectly describe the core capabilities built into the Marketing Cloud customer relationship management (CRM) platform. Every user or visitor is a different individual, and creating a unique marketing approach tailored specifically for each one can drastically boost your conversion rate success. Salesforce's Marketing Cloud allows businesses like yours to personalize user experiences across every channel under one comprehensive platform through event-triggered actions. How does this work? Say, for example, a customer joins your email newsletter. With the Marketing Cloud implemented, it might be triggered to automatically respond via a custom welcome message to the new visitor or update an existing customer's contact record. And because the Marketing Cloud is connected to the Salesforce platform (including the Sales Cloud® and Service Cloud®), each event can be a coordinated effort that provides a more unified, professional marketing experience overall. 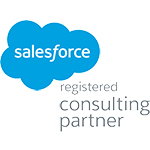 At Openmind Technologies, our silver-certified Salesforce consultants help skillfully guide organizations through the entire implementation stage - from setup and configuration, to training and maintenance. We have in-depth, practical experience implementing a wide range of Marketing Cloud features for business across various channels. As a trusted adviser, we partner with our clients at all levels - executive to technical - to create an achievable plan for discovery, implementation, adoption and training. We customize our approach to suit client processes for increased efficiency, accelerated productivity and sustainability utilizing Salesforce® - the world's most powerful unifying platform.